Scientific scholarship, even though it is a practice built by humans, meshes poorly with the adaptive strategies that make human civilisation possible. 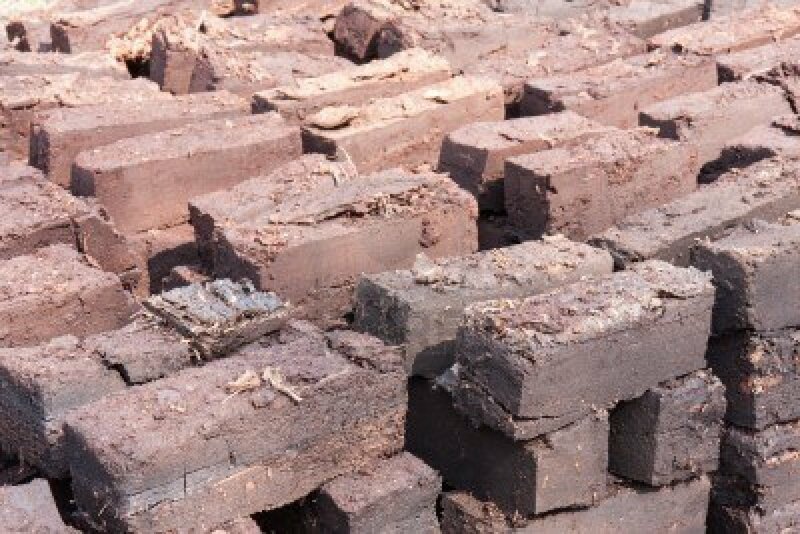 Climate change is a problem which arises from a buildup of greenhouse gases over time and the effects come through with long lags of several decades. If the world waits before taking the problems seriously, until Bangladesh, the Netherlands and Florida are underwater, it will be too late to back ourselves out of a huge hole. A special challenge of making policy here is that we are fast approaching a crisis which requires decision and action now, but we cannot yet directly experience the real magnitude of the dangers we are causing. Before I plunge in, to anyone reading this who is significantly younger than I am, I feel I must begin with an apology for the probability that my generation will be bequeathing you a wrecked planet when we die. To those of a similar age who also deferred reacting in good time and to those who continue to deny the reality of our legacy, I write more in sorrow than in anger, as I try to explain our delay and/or our denial. Invisibility to the general public can take other subtler forms. We live in an age in which the vast bulk of knowledge can only be accessed in mediated forms which rely on the testimony of various specialists. Contemporary approaches to epistemology, however, remain anchored in the intellectual ideals of the Enlightenment. These demand first-hand inquiry, independent thinking, and a scepticism about information passed down by authorities and experts. As such, we may find ourselves attempting to use an epistemological schema radically unsuited to a world whose staggering material complexity involves an unprecedented degree of specialisation and knowledge mediation. So the priority we have been taught to value as lay-thinkers, on knowing at first hand, conflicts with the highly specialist nature of the complex evidence in support of climate change. Our complex brains have helped us build a complex civilisation with complex consequences which our short term primate habits of thought can’t even get close to understanding. It’s all too opaque for us to fully understand, so we back off in our bafflement, tempted to dismiss the whole idea as a fantasy. 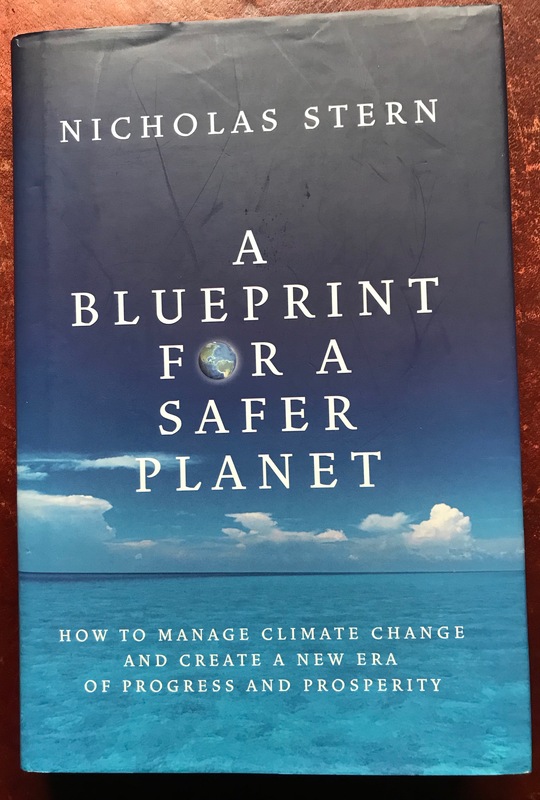 I accept that all those factors play a part in the all-too-prevalent climate-change scepticism that hampers our attempts to take remedial action in time. I’d like to step back now, and check out some other more basic thinking processes that play as great a part, in my view at least. The process through which the burning of a barrel of oil results in a global rise in temperatures is not directly visible. The process through which smoking leads to cancer takes place over decades and unfolds differently between individuals. I was a smoker at one time, as was Kahn-Harris. The immediate satisfaction of the nicotine hit, in the context of no immediate adverse effects, is all the evidence our more basic brain wiring needs to have to know for sure that it’s ok to carry on smoking. The more effortful task of investigating and digesting the evidence that it will probably kill us before our time makes no sense to our primate self. This is our default position most of the time (more on that in a moment). My experience in the NHS, dealing with local commissioners intensely concerned with balancing the books at the end of each financial year, illustrated for me that the same principles apply in more public sectors than my old smoking habit, which it took me six attempts at least to shake off. Arguments in favour of preventative action, whose financial savings might take years to materialise, carried far less weight, in fact no weight at all most of the time, than the imperatives of coming in under budget in a few months time. In such contexts we behave as though we are doctors giving a man who has broken his ankle a crutch rather than mending it with a splint, because a splint would be too expensive and he can get about well enough with the crutch. How much worse this must obviously be with something as complex as climate change. That doesn’t bode well, but there is an alternative. 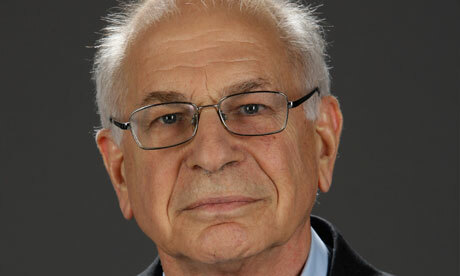 Kahneman regards System 2, powerful though flawed, as the best hope of good decision-making at our disposal. The key problem here, though, seems to lie in the clause ‘when an event is detected that violates the model of the world that System 1 maintains.’ What we are seeing so far is that manmade climate change has not generated before now at least events that violate, strongly enough in enough of us, our System One models of reality. We’re therefore not prepared to invest enough effort in System Two thinking to change our position. Iain McGilchrist, in his searching analysis of the human mind The Master & his Emissary reaches disturbing conclusions of relevance here to the persistence of our blindly exploitative relationship with the natural world and the earth’s resources. The left hemisphere point of view inevitably dominates . . . . The means of argument – the three Ls, language, logic and linearity – are all ultimately under left-hemisphere control, so the cards are heavily stacked in favour of our conscious discourse enforcing the world view re-presented in the hemisphere that speaks, the left hemisphere, rather than the world that is present to the right hemisphere. . . . which construes the world as inherently giving rise to what the left hemisphere calls paradox and ambiguity. This is much like the problem of the analytic versus holistic understanding of what a metaphor is: to one hemisphere a perhaps beautiful, but ultimately irrelevant, lie; to the other the only path to truth. . . . . . These assessments are important because there is a Schrödinger’s Cat element to studying climate impacts. The act of observing affects the outcome. If people aren’t aware of what is happening, why would anyone change? Assessments like these provide us with a vision of the future if we continue on our current pathway, and by doing so they address the most widespread and dangerous myth that the largest number of us have bought into: not that the science isn’t real, but rather that climate change doesn’t matter to me personally. If a future of relentless fires, droughts, superstorms and rising sea levels makes you feel like you need a strong caffeinated beverage, there is some bad news: climate change is coming for the world’s coffee beans. Greg Meenahan, the partnership director at the non-profit institute World Coffee Research, puts it this way: “Demand for coffee is expected to double by the year 2050 and, if nothing is done, more than half of the world’s suitable coffee land will be pushed into unsuitability due to climate change. Without research and development, the coffee sector will need up to 180m more bags of coffee in 2050 than we are likely to have. I’m sure every reader will resonate sympathetically to the horror of my impending predicament. ‘What is a life without coffee worth?’ I find myself asking. Well, a lot more than the life without any of its necessities, as promised by a future of uncontrolled global warming. Given that the evidence is building to confirm this bleak view of our future, why are we still not doing enough? Having done a helicopter view of my reading about what pushes us into evil action, now I must tackle Jordan Peterson’s approach to all this. What exactly is my problem, given that so much that he says resonates with so much that I have read and come to believe? Maybe he doesn’t carry my understanding any deeper, but why do a step back from endorsing his viewpoint where it matches? I have to say I am struggling to define this exactly. It’s more a gut feeling in some ways than a fully articulated critique. I don’t like his rather over-confident and somewhat dogmatic style, it’s true. But it feels as though it’s something more than that. What I’m going to say is the closest I can get for now. I hope to put more effort into tackling it more carefully later, but at the moment my right-brain more poetic side is getting fed up with what it experiences as my left-brain yet again hijacking the plan to spend more time on spiritual poetry. So after this rough and ready attempt to pin down my problem with Peterson’s approach, I plan to pick up the threads of my exploration of Antonio Machado. Concerning Peterson, I think it is largely because I have some difficulties with his fundamental premise. I’m concerned that his perspective might be like a tower of pennies standing on a bent coin at the bottom. It feels as though it could topple over at any moment. I cannot quite trust it even when he seems to be saying something I should agree with. I need to get a better grip of it. Order, the known, appears symbolically associated with masculinity (as illustrated in the… yang of the Taoist yin-yang symbol). This is perhaps because the primary hierarchal structure of human society is masculine, as it is among most animals… Order, when pushed too far, when imbalanced, can also manifest itself destructively and terribly.
. . . Chaos – the unknown – is symbolically associated with feminine. This is partly because all the things we have come to know were born, originally, of the unknown, just as all beings we encounter were born of mothers… As a negative force, it’s the impenetrable darkness of the cave and the accident at the side of the road. … Elkhonon Goldberg … has proposed quite lucidly and directly that the very hemispheric structure of the cortex reflects the fundamental division between novelty (the unknown, or chaos) and routinisation (the known, order). For a start I feel there may well be two misattributions or confusions here, even before we dig more deeply: yin-yang and masculine-feminine. 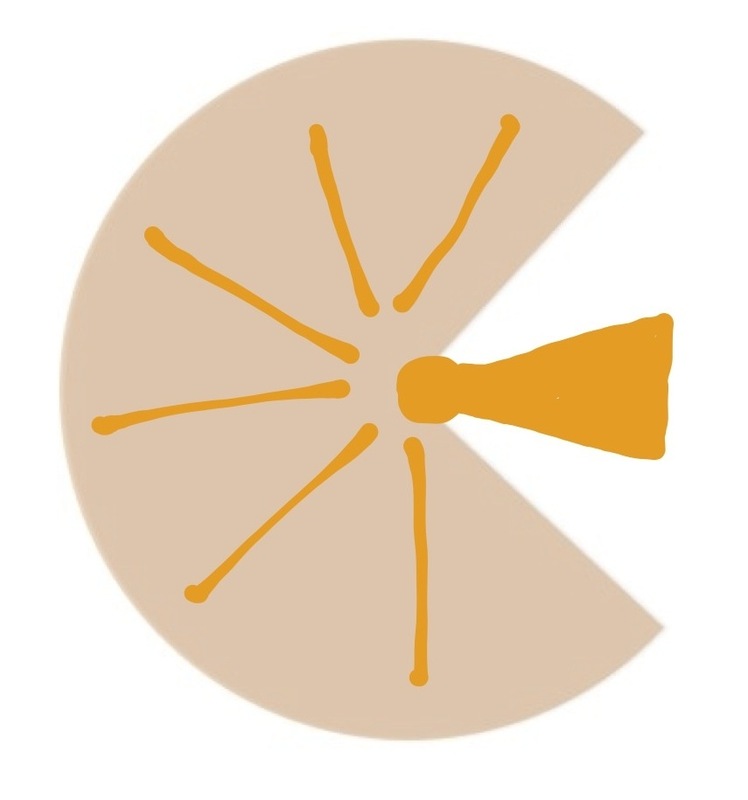 To the disappointment of such discoverers it must be said that there is nothing to indicate this in the original meaning of the words yin and yang. In its primary meaning yin is “the cloudy,” “the overcast,” and yang means actually “banners waving in the sun,” that is, something “shone upon,” or bright… Thence the two expressions were carried over into the Book of Changes and applied to the two alternating primal states of being. It should be pointed out, however, that the terms yin and yang do not occur in this derived sense either in the actual text of the book or in the oldest commentaries. In the Commentary on the Decision the terms used for the opposites are “the firm” and “the yielding,” not yang and yin. 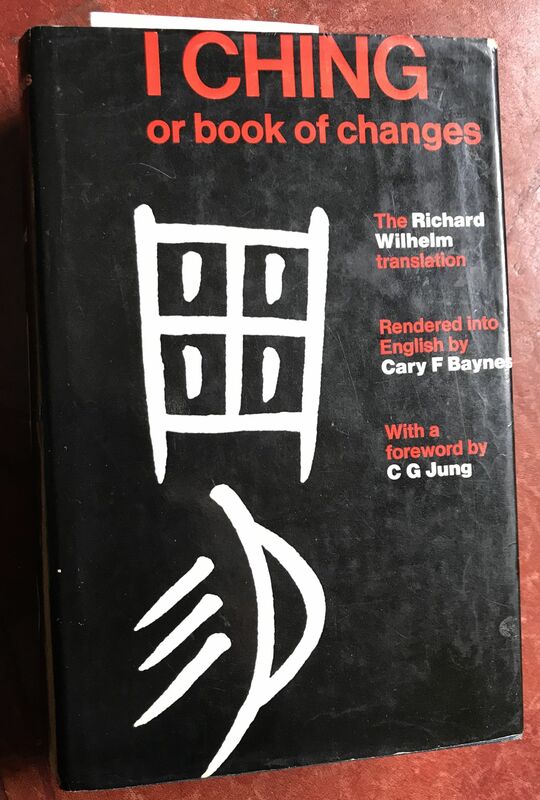 Wilhelm goes on to say that ‘change is conceived of partly as the continuous transformation of the one force into the other and partly as a cycle of complexes of phenomenon, in themselves connected, such as day and night, summer and winter.’ It is all subject to the universal law of tao. I don’t propose to dwell at any length on the way Peterson ignores the evidence that there have been matriarchal societies. I will accept that we have currently inherited a long tradition, going back millennia, of pragmatically successful and enduring cultures that are male dominated. I also accept that over all he does see some positives in chaos, such as creativity, and a downside to order, in terms of resistance to necessary change and overcontrol. We eternally inhabit order, surrounded by chaos. We eternally occupy known territory, surrounded by the unknown. We experience meaningful engagement when we mediate appropriately between them. Unprotected exposure to unexplored territory produces fear. The individual is protected from such fear as a consequence of “ritual imitation of the Great Father” – as a consequence of the adoption of group identity, which restricts the meaning of things, and confers predictability on social interactions. When identification with the group is made absolute, however – when everything has to be controlled, when the unknown is no longer allowed to exist – the creative exploratory process that updates the group can no longer manifest itself. This “restriction of adaptive capacity” dramatically increases the probability of social aggression and chaos. Chaos and order are two of the most fundamental elements of lived experience – two of the most basic subdivisions Being itself. But they’re not things, or objects, and they’re not experienced as such. Things or objects are part of the objective world. They’re inanimate; spiritless. They’re dead. This is not true of chaos and order. Those are perceived, experienced and understood… as personalities . 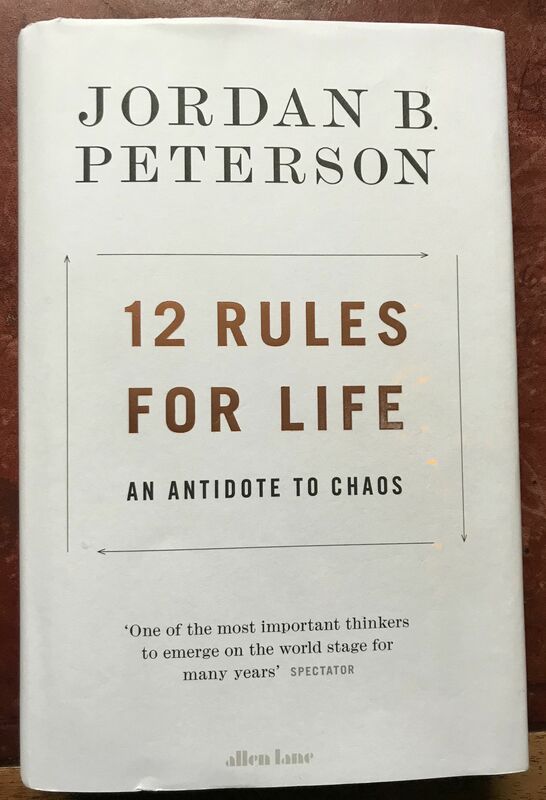 . .
Because 12 Rules for Life is written in a somewhat unsystematic way, with different chapters dealing with different rules rather than having a progressive and consistent analysis of his overall view in some logical fashion, it’s hard to be sure I’ve really grasped his core point correctly yet. Because my other half, as I have said, wants to get back to Machado, I’m reluctant to tackle his much longer book Maps of Meaning even so. Why does his approach trouble me? It’s partly because he looks as though he has assumed that we only apply the word chaos in a deeply negative sense to what we don’t know. This makes two mistakes, it seems to me. I’ll make my definition of his first mistake concretely. Chaos is not inevitably the death at the side of the road, any more than Order is sweetness and light. Order was also the organized slaughter of the Holocaust, just as chaos can lead to new insights and new beginnings. While he seems to acknowledge this possibility in some places the dogmatic certainty of his language in other places seems to ignore it. Both the known (order/the firm) and the unknown (chaos/the yielding) can lead to the negation we call death, of which we are understandably terrified, but they are intrinsically neither negation nor death in themselves. Now for my sense of a second mistake on his part, which I realise may be simply nitpicking but I can’t shake it off as it feels important to me. Even more of a problem for me is that I am not convinced that we perceive order and chaos as two distinct categories. I think we can just as easily see them as at opposite ends of the same dimension, and many of us do. Moreover, I am not convinced either that they are coterminous with the known and the unknown, something that I will be coming back to in more detail in the final post. 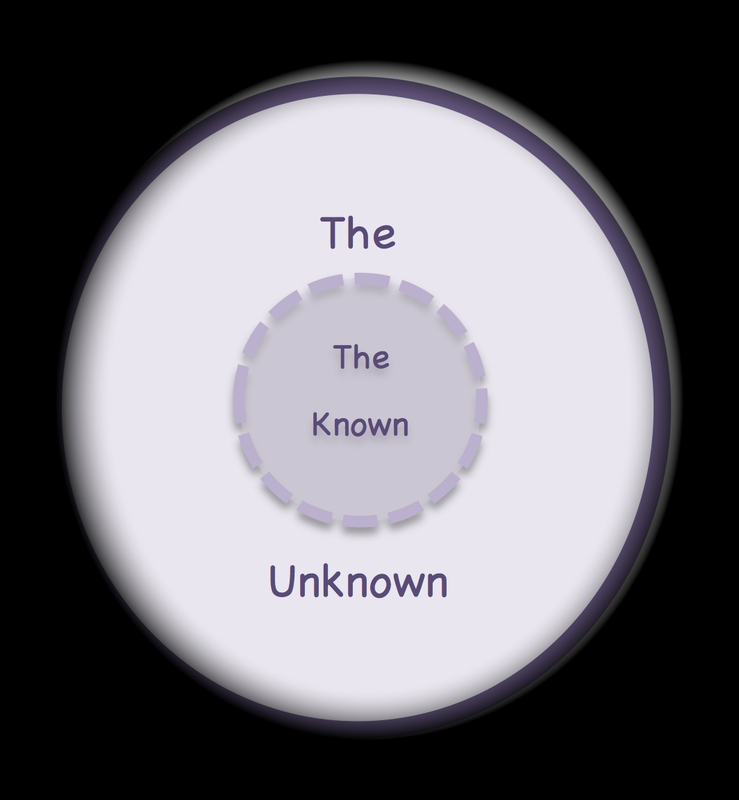 What we know or do not know, as he realises, is to do with a subjective dimension, and the familiarity of what we know can lead some of us to feel comfortable and safe, whereas the unfamiliarity of what we do not know makes many of us afraid. There are many people for whom the converse is also true: order is suffocating and to be avoided at all costs, and chaos is exciting and to welcomed whenever possible. These subjective states will occur in ways that map onto chaos or order when we have correctly identified those objective conditions. However an order that we do not recognize as such because it is unfamiliar will frighten us, just as a chaos that we fail to see as such might leave us feeling safe. Things are possibly more complicated than his model seems to allow for. Two examples of one aspect of that will help here, I think. The incipient chaos that climate change is brewing went for a long time completely unrecognised. Similarly the native inhabitants of a volcanic region can sense the impending chaos of an eruption to which incomers are completely blind. Some people still refuse to accept the reality of climate change in the defensive manoeuvre we call denial: that is not quite the same thing as being completely oblivious to impending or actual chaos. Imagine a loyal and honest wife suddenly confronted by evidence of her husband’s infidelity… One day she sees him in a downtown cafe with another woman, interacting with her in a manner difficult to rationalise and ignore. The limitations and inaccuracy of her former perceptions become immediately and painfully obvious. Her theory of her husband collapses. However, the spread-out nature of his argument across so many different rules, discussed in so many different chapters, makes it hard to grasp his overall perspective coherently: you have to pick up on and blend complementary aspects of his argument divided across so many pages. When I have visited China I have encountered a parallel but not identical problem in that culture – where we experience order as chaos: a simple example is the traffic in the big cities. Those who live there seem able to detect an order and predictability that allow them to know when and how to cross the road which is invisible to me when I am standing on the corner of the junction of two dual carriageways and am clearly expected to cross diagonally. I see chaos in-between me and the opposite corner of the junction: the locals calmly navigate across to the other side. I am sure that on a larger scale an immigrant struggles to make sense of a new culture as a whole, and it takes some considerable time before the pattern underlying what looks like chaotic nonsense begins to emerge. Order is experienced as chaos. This point he does not seem so aware of. 2. an opportunity to learn these regularities through prolonged practice. . . . .
Physicians, nurses, athletes, and firefighters . . . face complex but fundamentally orderly situations. The accurate intuitions . . . described are due to highly valid cues that the expert . . . has learned to use. . . In contrast, stock pickers and political scientists who make long-term forecasts operate in a zero-validity environment. Their failures reflect the basic unpredictability of the events that they try to forecast. In this context it is interesting to note that many civilisations have chosen to found themselves in danger zones such as near volcanoes and close to shifting tectonic plates that trigger earthquakes. The reason for that, apparently, is the soil fertility near volcanoes and the useful or valuable metals and minerals more readily available in earthquake zones. This illustrates that chaos can be productive, so productive in fact that it sometimes compensates for the risk of trading with it. I think it is a mistake though to completely conflate the disruption of chaos with either creativity or death. It has the potential for either, but is simply a profound disruption of an existing order or a complete absence of obvious order, making it feel unpredictable and potentially dangerous, though sometimes worth plunging into at the risk of death as the rewards could make it worthwhile. A pause for breath now. In any case my left-brain is getting pretty fed up of finding words to express my right-brain’s perspective. More on this next time. el don preclaro de evocar los sueños. this signal gift of calling back old dreams. In the last post we had reached a point in the process where the basic but all-important spade work had been done. 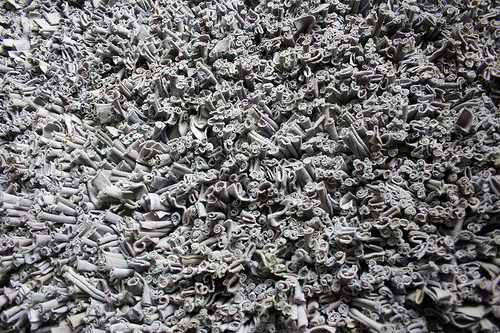 We have the raw material. Now we must find a way of decoding the imagery to decipher what the dream might mean. In the previous post we were looking at how we might consult with our dreams in order to discover different and more helpful ways of approaching our challenges in life, other than the two described by Daniel Kahneman as System 1 and System 2. We got part way through a description of a process, mostly derived from the work of Ann Faraday in her book The Dream Game, by which we could learn how to do this. The idea is that this represents a genuine third way of seeing, even a third kind of self through which to see. It is not the only such way but it is the focus here. So we’re picking up the threads from where we left off – how do we decode the symbols in the dreams we have recorded. This is a crucial part of the process and so easy to get wrong. It is vitally important to be completely objective in listing the elements. I had to be careful not to dismiss any that I felt were not promising or not sufficiently drenched in deep significance. Also elements, as I discovered, are not just objects and people. They are everything in the dream including actions, feelings, fragments of conversation: even my own thoughts as a dreamer need to be included. There was an over-riding consideration I rapidly realised applied to all aspects of dreamwork. The most fruitful assumption to make, once I decided a dream was worth working on, was that all the dream elements were aspects of my mind at some level, even though I was neither familiar, nor likely to be comfortable with them. There were two stages now to decoding the elements. If I had decided to work a dream then, even if some elements related to past or future events, this was unlikely to be all they meant, so I would have to work with them as seriously as any other element. 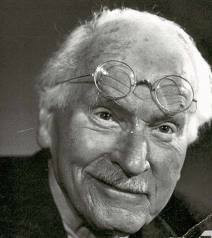 Carl Gustav Jung. For source of image see link. Anyone who is as averse to key aspects of the Freudian model of psychoanalysis as I am, don’t worry. I used to use the Jungian method of association. With the Freudian method, as I understood it, you were meant to start with the stimulus word and associate from it in a chain. ‘Radio,’ ‘waves,’ ‘ocean,’ ‘the Gulf Stream,’ ‘the Gulf War,’ ‘Syria,’ going back to the beginning again until all associations were exhausted. You can see the problem. I usually became exhausted well before the associations were. Whenever I tried it the chain never seemed to stop until each word had at least half a page of wide ranging associations from which I could not derive any coherent meaning at all. Jung’s method was far more congenial. You provide an association then come back to the root word for the next. ‘Radio-waves,’ ‘radio-third programme,’ ‘radio-therapy,’ ‘radio-London,’ and so on. The process generally never created more than a paragraph of associations, and there was usually some kind of coherence to the way they grouped. There is, of course, no need to be rigid about this. There have been times when allowing a string of connected ideas to flow from the one word has proved most fruitful. It’s just that I found the chain of associations method more confusing than helpful most of the time. Sometimes, I did not need to go beyond this stage. The meaning of the dream became sufficiently clear for me to use what I had learned and move on, especially when you have freed your mind from the Freudian shackle of assuming all dreams are wish fulfillment of some kind. The most dramatic example of how an association can free the conscious mind from the prison of its self-deception, came from a patient I worked with who had been diagnosed as having an ‘endogenous’ depression, i.e. one that was not explicable in terms of her life situation. She was an articulate lady who gave clear descriptions of her history, which included a basically contented childhood, and of her current feelings, which were often suicidal, though she did not understand why. One day, she spoke of a recurrent dream she had. With variations, it was of being in a room with Hitler’s SS. They wanted information from her and were preparing to torture her. Before the torture could begin she invariably woke in terror. Following the model I used for my own dreams I asked her to give me a full description of every aspect of her situation in the dream. She described not only the people, but also the size and shape of the room and the kind of furniture that was in it. Naturally, we focused at first on the people, but, apart from the obvious link of her having been brought up in the aftermath of World War Two, there were no links with the SS officers who were threatening her. The room did not trigger any useful insights either. We were beginning to wonder whether this was simply a childhood nightmare of the war come back to haunt her, when I asked about her associations to the furniture. We were both instantly shocked by her first answer. It was exactly the same as the furniture in the kitchen of the house in which she had grown up. It would not be right for me to go into any detail about where this led. I imagine everyone can see that the picture she had persuaded herself was real, of a contented childhood, was very wide of the mark. That she had no vivid memory of any one traumatic incident was because there were none to remember: her whole childhood, as we then gradually came to understand it, had been a subtle form of emotional starvation and neglect successfully disguised for her at least as normal parenting. I was utterly persuaded then, if not before, of the heart’s power to use dreams to make us wiser when we are safe and ready, and of the truth of this not, just for me, but for everyone. 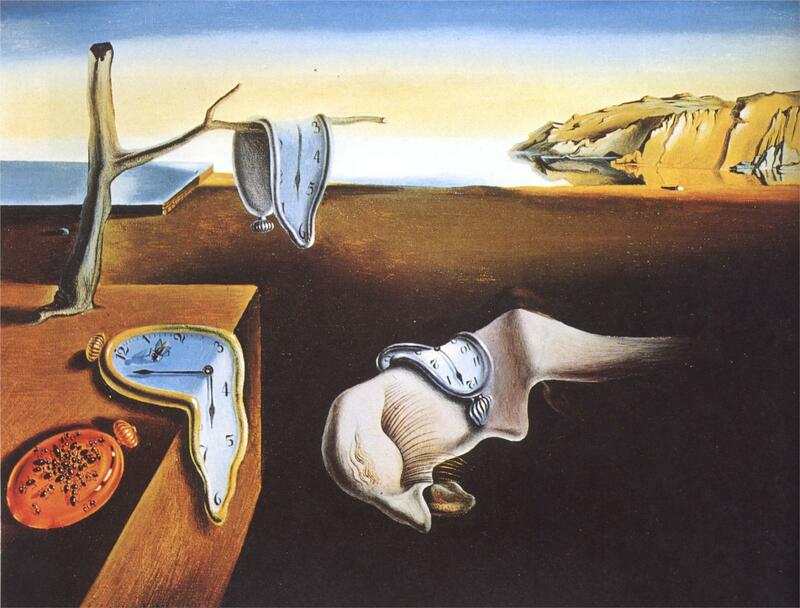 In terms of my own dreamwork, if I’d missed an important issue, either by using associations to decode the dream, or the Gestalt approach below, I usually got another dream reminder pretty quickly. Sometimes, quite often in fact, associations did not work completely enough. 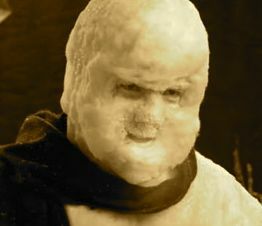 For instance, the figure from the freezer elicited a few fruitful associations, not least to the monster created by Dr Frankenstein, to O’Neill’s powerful exploration of despair, and to the idea of the Iceman as a personification of Death, fears about which were part of the air I breathed in childhood as a result of my parents’ unassuageable grief at the death of my sister four years before I was born. Some of my poems testify to the powerful impact of this period on my mind. However, not even these powerful links convinced me I’d completely decoded the dream. Since the main problem in understanding the dream is to discover what issue on your mind or in your heart provoked the dream, you can take a shortcut by asking your dreams for help on a certain problem of emotional significance before falling sleep. . . . . Religious people to whom prayer comes naturally may like to ask God for enlightenment on the dream. However you frame your request, it is essential to have your recording equipment ready, since failure to do so is a sure sign that you’re not serious, and the unconscious mind is not fooled. Before resorting to that, I generally tried the Gestalt approach. This involves role playing the dream element. Take the figure from the freezer I described in the dream in the previous post. Once I spoke as the dream element (and you can also do this for inanimate objects – we will come back to this next time) its meaning became blindingly obvious fairly quickly. It is possible, and often necessary, to dialogue with the element as well. To do this you have to allocate different places in the room for the two or more elements to the dialogue to speak from. What follows is a reconstruction of work done many years ago. Me (from my armchair): I am scared of you, it’s true. But I swear I didn’t know I had done this to you. Can you promise me you mean me no harm? Me: I’m not sure. There must have been something about you that scared me. 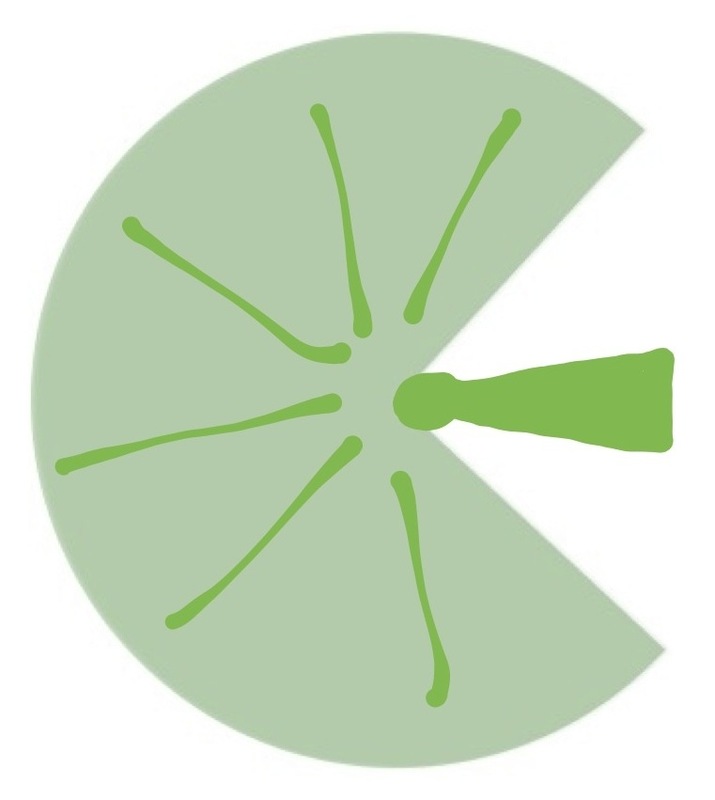 Can you guess what that might be? When did I lock you away? The Iceman: I’m not sure. I’ve grown up in here. I was shut away when I was only a child. To cut a long story short, it became clear that the pain and rage I felt as a child, when I was placed in hospital and operated on without really understanding why, had been unbearable. It also had associations with feelings of intense cold because of the way I experienced the chloroform they used as an anaesthetic. After cutting myself off from that part of me that felt the pain, I’d fed him with every subsequent unbearable pain or intolerable rage. In this way he became bigger and bigger and ever more scary. It became harder and harder to think of integrating that part of me again into my ordinary conscious experience. Finally, in my imagination, there was a tearful reunion. I embraced the figure that had frightened me so much, welcomed him and brought him back into the warmth of my ordinary life. A key idea in dreamwork is to embrace what you fear and thereby reintegrate it. In that way we can gradually reclaim all our energy and all our powers. Even anger has a place in a constructive life. How else are we going to know how to mobilise ourselves to respond to evil and injustice when it crosses our path. I had repressed my pain and rage. Taking them out of the cage and reintegrating them is not the same as acting them out. Our culture is not good at treading the middle way between repression and disinhibition. The middle way is to remain aware of how you are feeling but to contain it, reflect upon it (something I’ve dealt with at length elsewhere) and decide how best to deal with and if appropriate express the feelings constructively. We have reached the point where we are almost ready to tackle the possibility that dreams can give us access to the transcendent. Dreamwork (1/3): What should we do with our dreams? 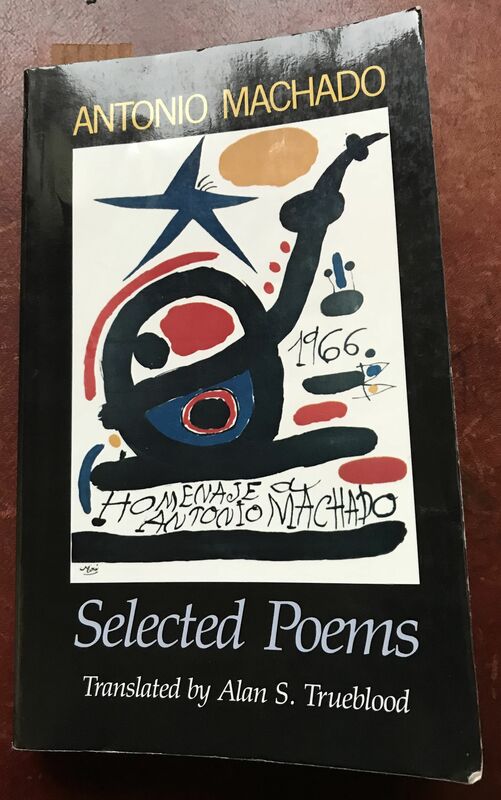 My recent re-reading of Antonio Machado, which continues to be rewarding but slow work given my sluggish Spanish, has reminded me of how important working on dreams has been in my personal and professional life. Dreams were obviously important to him at that stage in his life. Why were dreams so important to me? I’ll try and explain this now by drawing on material from an earlier sequence of posts and adapting it slightly to present purposes. I have come to believe, as Machado implies, that dreams sometimes connect us not just with the subliminal, but with the transcendent. 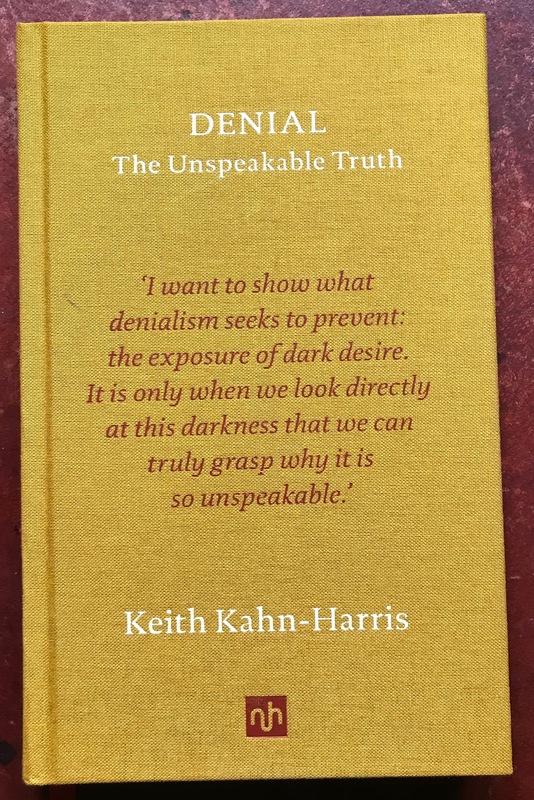 I am, in the first two parts of this treatment of dreams, going to keep as best I can within a framework of evidence that does not draw on the transcendent while plainly proving that we have modes of thought which cannot be reduced to Kahneman’s System 1 (instinct) and System 2 (intellect). It also provides an area of experience that every single one of us can test out for ourselves if we are prepared to give it enough time. It’s far too tempting for me to add that if you are not prepared to test this out yourself over a period of months, at least resist the temptation to assume it’s valueless. My main line of argument for now is that we can consult with our dreams. What does this mean in practice? 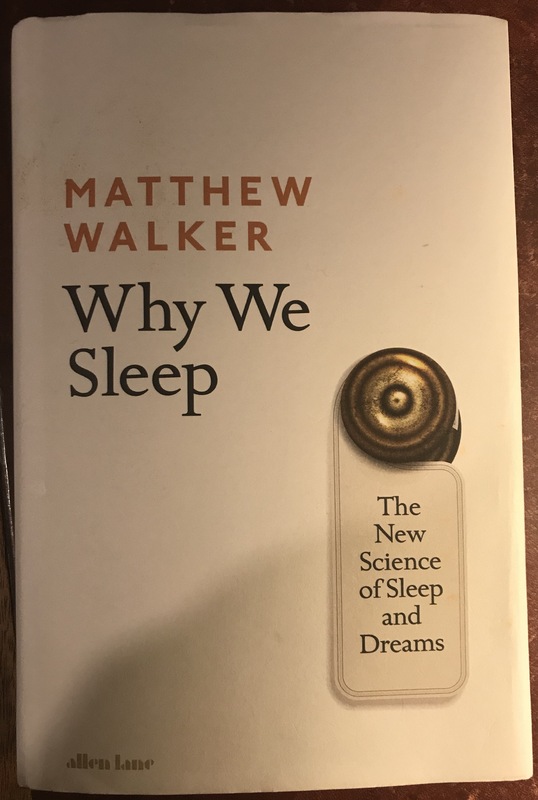 I am writing this in full awareness of Matthew Walker’s recent book on sleep, which, while it explores the scientific support for the importance of dreams in consolidating memory, processing traumatic experiences and producing creative solutions to hitherto unsolved problems, is profoundly sceptical about the value of dream interpretation. As I will discuss at points later I am equally sceptical of the value of his prime target in this respect, Freudian theory. I want to be clear, as this all seems dismissive. I am in no way suggesting that reviewing your dreams yourself, or sharing them with someone else, is a waste of time. On the contrary, I think it is a very helpful thing to do, as dreams do have a function… Indeed, journaling your waking thoughts, feelings, and concerns has a proven mental health benefit, and the same appears true of your dreams. So, undeterred, I’ll blast on! Once you accept the idea that dreams come from below the threshold of normal consciousness, it becomes possible to see how useful they can be in problem-solving. 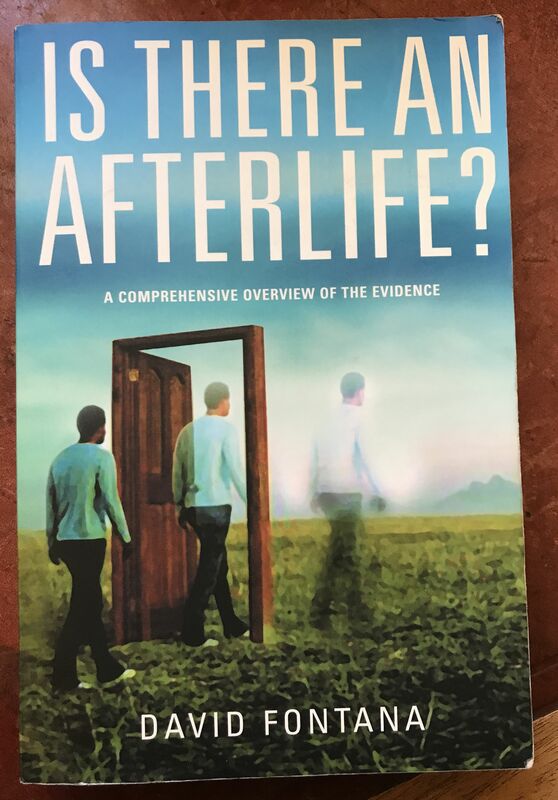 This is because they come at a problem from a completely different angle from Kahneman’s System 1 and System 2, and it will also become apparent that they can bridge the gap between the material and spiritual aspects of consciousness, drawing therefore in my view more easily upon the transcendental. I have chosen to focus on dreams because not even the most reductionist scientist would deny we dream, even if he never remembers one, and because I have personally experienced the power dreams potentially have to unlock doors in the mind resistant to ordinary unassisted waking consciousness. Also, dreams highlight a key problem, which permeates this whole area of human life: there is a world of difference between an experience and the interpretation of that experience. Nevertheless, it is not good science to dismiss the experience just because you don’t like the explanation that someone has pinned to it. Dreams undoubtedly exist. They are an unusual state of consciousness. What they mean and where they come from is open to interpretation. As such, therefore, they are potentially perfect illustrations of what I am hoping to convey. At the most basic level you have the possibility that they can bring to our attention purely physical factors that were below this threshold of consciousness during the day. One such example is of the man who had a recurrent dream that a tiger had its claws in his back. After several frightening nights of this he asked his wife to check the skin there where he couldn’t see it. She found suspicious blemishes which a visit to the doctor and subsequent tests confirmed was a form of skin cancer. By paying attention to his dreams, he had been alerted in time and was cured. One of my own experiences was less dramatic but none the less helpful for all that. I dreamt that I had been electrocuted by my turntable. When I checked the record player the following day I got a slight shock from the metal arm and, when I looked at the plug, I discovered that the earth wire was disconnected. During the previous day I had presumably had a shock from the arm but not noticed it consciously. Kekulé discovered the tetravalent nature of carbon, the formation of chemical/ organic “Structure Theory”, but he did not make this breakthrough by experimentation alone. He had a dream! There are reported to be cultures which, when the community has a problem, encourage everyone to seek dreams that yield a solution. Apparently this works. There are books that explain ways in which we can all learn how to tap into this subliminal reservoir of creative thought to find a way through our problems. We can for example, before we sleep, deliberately ask for guidance in our dreams. As most of us, until we have practised it, fail to remember our dreams it is advisable to have a notepad and pencil handy by the bedside to record any dreams we are aware of when we wake during the night or as we wake in the morning. They need to be noted down right then because they fade so quickly that by the time you have got downstairs to make a cup of coffee you will have forgotten them. Different books have different advice about how best to understand what you have dreamt. Personally, I never got much out of any material that claimed to give me standard interpretations of dream symbols. Our imagery is too personal for that to work most of the time. I found two approaches useful, the second more than the first. Calvin Hall recommended recording sequences of dreams and looking for the meaning in the sequence rather than in any one dream. That is probably good advice but not very practical, though I did manage to keep a detailed dream diary for about a year, recording the dreams on filing cards. In the end though I tended to just look at one of the more striking and significant dreams and ignored the rest. This caused me to abandon Hall’s method. 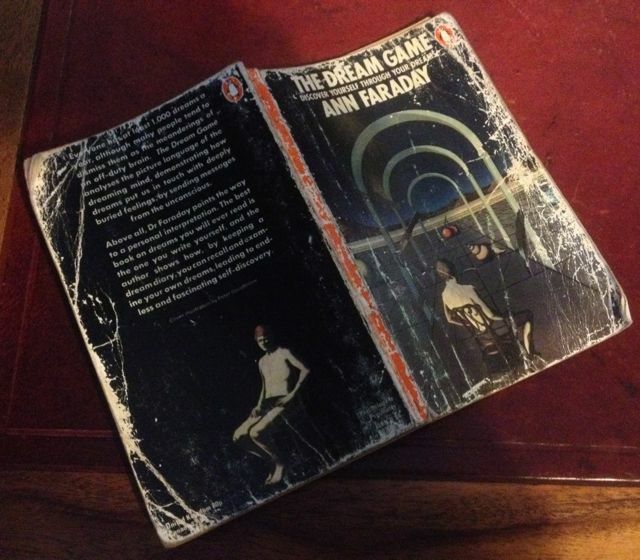 I took an immediate liking to Ann Faraday’s approach once I found her book The Dream Game in 1977. I still have my very battered copy of her book in the Penguin Edition. There are two stages to her method. The first is uncontentious for the most part, once you accept the importance of dreams. Stage 1 focuses on how to record your dreams. Stage 2 is concerned with how to understand what they mean for us as the dreamer. We are a long way from System 1 and a fair distance from undiluted System 2 already. Enthusiasts should invite the next dream before going back to sleep! Relate the dream to the events of the day before or that period of time (this does not mean that it is only an echo of them). When the dreaming mind expresses itself in movie terms, cutting out all the “as ifs” and showing us literally crossing roads and bridges when we are facing major life decisions, or literally being devoured when we feel “eaten up” by something, it is using the most fundamental of all languages, shared by men and women of every age and race. After I recorded a dream, when I was transcribing it to work on, I would write it in the present tense. ‘I am sitting in my living room. The radio is on. Even so I hear the sound of movement from the kitchen through the open door. I turn and look and to my horror I see a large and shambling figure walking out of the full length fridge-freezer and turning to come towards me.’ And so on. I would note at the bottom of the transcript the ‘day residue’ and any other previous or pending events that might have triggered or influenced the dream. I found that dreams are not just sensitive to what has happened the day before but also to what I am aware has recently happened or is going to happen, like a recent trip or a forthcoming job interview. Even the events of a week earlier can leave traces in a dream. It is all a question of whether their meaning is still alive in the mind in some way. I would then spend a little time deciding whether simple implications of the ‘day residue’ probably exhausted the dream’s meaning, or whether there were other resonances. For example, the electric shock from the record player arm seemed to be the main point of the dream. It was a simple warning. I fixed the earth wire. There was nothing else to think about. However, even if my fridge had needed fixing, the figure stepping out of it was clearly not reducible to a loose wire somewhere, except possibly in my head. I followed the advice to do this even though it was inconsistently effective. Sometimes I was right about the key theme and caught it in the title I created. Sometimes, though, I was hopelessly off the mark. When it was close it helped: when it was wrong it could slow down the process of arriving at a true understanding of the dream. Next time comes the really interesting part: decoding the dream. Three Brains Revisited (3/3): Is Mammering the Best Policy? O, this is hire and salary, not revenge. This sequence last seen two years ago seems to follow on naturally from the Understanding Heart sequence I’ve just republished. So here it comes again on three consecutive days this time. Maybe this is partly why I ignored the whispers to hang on in there, shot the albatross in the heat of a conflict situation, and betrayed myself in the process. At least I think it was. Maybe this, rather surprisingly, is the lesson Bahá’u’lláh wants me to learn from all this crackle in my system. Can I, should I make a virtue of uncertainty, at least in some circumstances, and have the courage of my confusion? This leaves another question still hanging in the air: ‘Maybe there are situations where waiting is clearly a mistake, and then isn’t doing something better than dithering indefinitely?’ And if so, how do I tell the difference? And when I sense a difference, how do I step back from the clamour in my head and stay still with no sense of guilt? We’ll be coming onto that aspect of things soon now. Given my default position of doubt, it’s no wonder that Hamlet is the Shakespeare play I resonate to most strongly. ‘Now could I do it pat!’ except he can’t. Instinct gives way to the scanning of intellect. He stands ‘mammering,’ as Othello scathingly refers to this kind of hesitation. 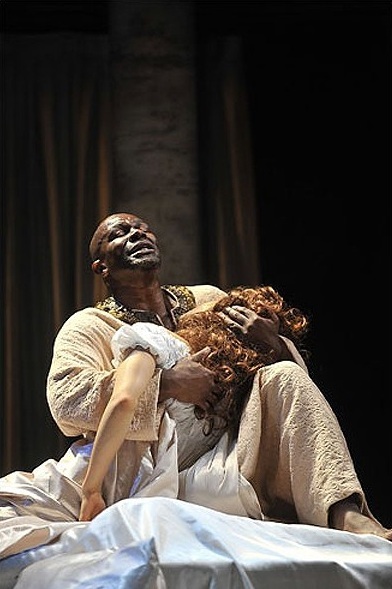 It is intriguing to note at this point that if Othello had been in Hamlet’s shoes, Hamlet would have been much shorter and far less interesting, probably ending at Act I, Scene 2, shortly after Othello had left the battlements and cut his uncle’s throat before breakfast, whereas, if Hamlet had starred in Othello, Desdemona would probably still be alive, with Iago on a perilous mission somewhere in Africa, probably never to return. Neither play would have worked as a tragedy, or even as a comedy for that matter, as it would have lacked the necessary mismatch between character and situation. To return to the main issue, ‘mammering’ has a bad press in our culture. ‘He who hesitates is lost,’ we parrot, ‘Strike while the iron is hot!’ quite forgetting that it might just possibly be better to look before we leap. Such a bad press in fact that it has taken me quite some time to recognise the possibility that there could be times when mammering is the best policy. He who hesitates may well be the wisest of them all. Indecision is pathologised in our culture, but that should be when it’s a pattern which disables our ability to decide what to eat, where to go for a walk, what book or clothes to buy – none of which is the case with me as far as I can tell. Maybe refusing to decide to act when the stakes are too high, nothing is clear and we don’t really have to, is quite rational and in fact the toughest decision to make, not a sign of weakness at all. Trying to apply this kind of thinking more closely to the actuality of an experience is also difficult for all of us. What happens when a specific situation presses a button, for example when we are convinced that someone close has lied to us? What do we say or do when a trusted friend has refused to help us? How do we deal with the soreness left after we feel betrayed and an important bond had been badly damaged if not completely broken? Well, I think I might have a glimpse of the answer to those kinds of questions. I think I now realise, and not just intellectually, that there is a huge difference between the reality we see when we stand back and the reality we experience when we allow the hurt to distort our perceptions, and the crucial Trafalgar we fight is when we battle not to board the ship whose sails are perceptions with the wind of hurt behind them. When the pain and the reality collide and pressurise me to warp my perception and experience and decide something destructive, I need to learn to stand back and, first, tell myself that storm water on the mind’s window doesn’t alter what’s outside, and, second, that, with friends and family especially but perhaps with human kind as a whole, the basic relationship can only be blurred by pain but need not be destroyed by it – not even if we plan never to speak to or spend time with them again. 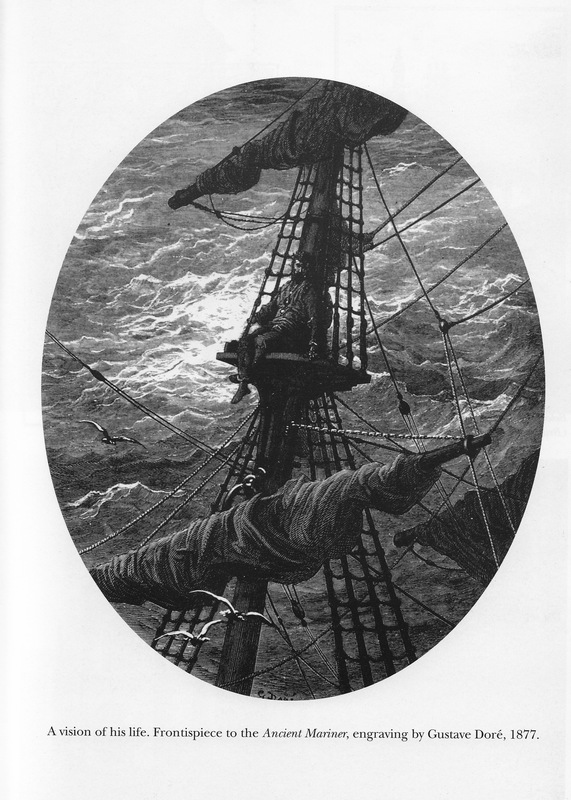 We are all inextricably linked, as Coleridge’s poem The Rime of the Ancient Mariner implies, so to use emotional pain on the spur of the moment as an excuse, for example, for not speaking again ever, while human and understandable, is not a viable way forward. (Physical harm is a different matter of course and requires that measures be taken as soon as possible to secure our safety.) I also agree that there are a very few people we might know whose speech comes to be too dangerous to listen to ever again: verbal abuse and systematic denigration, for example, should not be endured. I’d have to be sure you’re such a person before I cut you off completely. But I am dealing now with what I would call the routine mainstream of human relationships, where there are serious mistakes but no calculated malice. In such circumstances, ‘I’m not taking this crap any more!’ and walking out might sound like strong minded forthrightness, but all too often it’s only camouflaged cowardice. So, what has all this got to do with the Three-Brain model? How could that possible help? Well, a key issue is to learn how to step back from all the usual programming that tempts us to press the button marked ‘Fire’ too early, in case we kill an albatross. As we discussed earlier, different parts of our brain system are triggered in different ways along different time-scales. When we lived in caves and usually had only one chance to learn how to recognise and escape from a tiger, instinct was really handy. It still is. It helps us get out of the way of an oncoming train and sense if an attack in a dark alley is likely to happen. It also tends to mistake a black plastic bag for a mugger. So, basically, it’s a good idea to put our instincts on a leash when we’re not in clear physical danger. We can allow the warning light to keep flashing, but we don’t have to attack or escape until we’ve made sure that the threat is real. Sometimes, even when the threat is real, we can keep the leash tight in order, for example, to help others out of danger before we escape ourselves. We can even save an albatross before we save ourselves. This over-ride is one of the things that makes us human rather than simply animal, though I accept that some animals can demonstrate something remarkably like altruism. The ability to pull on the leash before the leopard leaps needs constant practice. Mindfulness helps. The earlier we can learn to spot the reaction the better the chance we have of stopping it and swapping it for a more considered response. If we can keep the leash tight and keep calm as well, something that also comes with practice as we learn how to step mindfully back from our reactions, thinking remains possible. In our culture, thinking tends to have pride of place. Science and logic are highly valued. We love the way we can analyse experience. There are huge advantages to this way of working. We go way beyond gut reactions, which can only really be trusted when situations are crisp, clear and self-evident or else, if complex, are predictably patterned and deeply familiar. Such situations are most certainly not the only ones we meet in our complex and global society, far different from the forests of our distant origins. Snap judgements can now be seriously flawed, and the flaws grow in size as situations become more complex and chaotic. So, taking the time and making the effort to work things out carefully pays off in all complex situations where the consequences, though not necessarily life-threatening, could be scarily high. My home, my health or my wealth could be at stake. In addition to Kahneman’s work already referred to, Daniel Levitin, in his book The Organised Mind, has much to say about how, for example, we can become better at making difficult decisions about what steps to take to mend our health (page 219-267). We need to dig a bit deeper still. 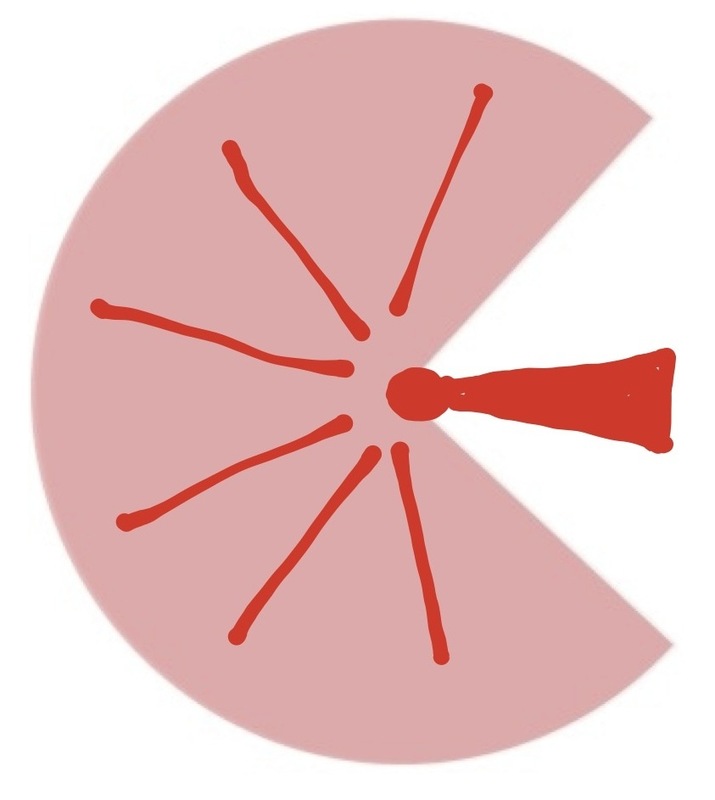 I have produced a very left-brain diagram to roughly illustrate a right-brain model. Hopefully, if my left-brain buys it, there might be some chance it will give my right-brain enough space and time to function! The ellipse labelled Conscious Awareness represents a process and is not meant to be reified (or deified for that matter). In terms of the discussion below it is primarily to be seen as ‘consciousness influenced by brain systems/processes’ and restricted by the brain’s limited but nonetheless impressive capacity to act as a receiver of signals. To place this in a context, which I won’t be exploring in this post, conscious awareness (CA) is underpinned by preconscious processes and rests on a brain foundation of unconscious responses, usually termed ‘subliminal’ in the psychology literature. Also, for a Bahá’í and an Irreducible Mind enthusiast such as me, Mind in its totality is a sphere of potential consciousness, within which the ellipse of CA resides, and which emanates from a spiritual dimension to which our brains can only achieve an intermittent connection at best for most of us. As the diagram attempts to show, if we think of the input from each of these brain systems as radio, television or satellite signals, then the instinctual signal is strongest. In the brain as it is wired, it also has a fast track and begins to trigger a reaction before the higher centres know what’s going on, hence the long thin wiring to the intellect and intuition. Also the descending neural pathways used to help the higher centres of the brain keep calm are fewer in number than the ascending ones raising the alarm. They do win in the end though if we use them enough and wisely. . . . . self-control is like a muscle that gets tired. People may start the day fresh and rested, but as they exert self-control over the course of the day, their powers may diminish. Many researchers have observed that self-control tends to break down late in the day, especially if it has been a demanding or stressful day. . . .
A series of experiments confirmed that willpower is tied to glucose (Gailliot et al., 2007). After people exert self-control, even on artificial lab tasks, their blood glucose levels drop. Low levels of blood glucose predict poor performance on tests of self- control. However, as the brain learns with practice to use the higher centres to hold back the tiger on each particular issue, we can get better at it, self-restraint develops more stamina, can hold on longer, and our fangs and claws may therefore more rarely rip into impetuous action. 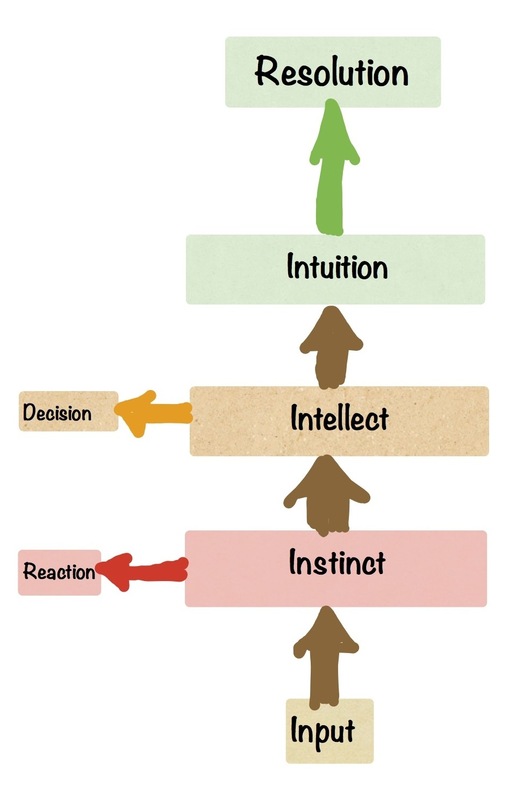 The signal from the intellect is weaker than instinct’s and, although the diagram can’t show it clearly without muddling the main issue, the emotional centre of the archaic brain can keep interfering with the thinking process and colouring its deliberations. We can be infected by irrational fear, anger, impatience and so on, and, to make matters worse, because of our confirmation bias we will be very tempted to look only at the evidence that feeds our prejudices. We have to work very hard to keep the tiger in check, and to make ourselves look at evidence that contradicts our instinctive assumptions. That’s why paradigm shifts are so difficult to make in science as well as everywhere else: scientists are not immune to the impact of the primitive emotional investments they’ve made in what they have come to believe. 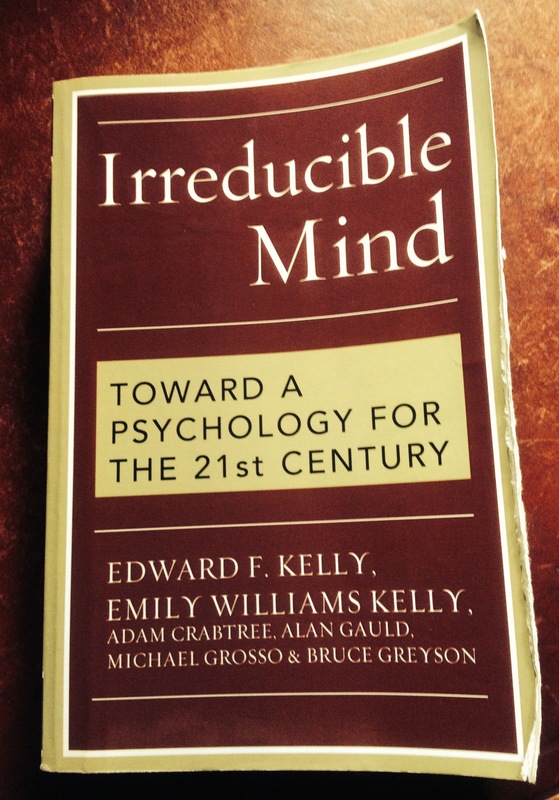 Anyone interested in that area of exasperation need only read Mario Beauregard’s The Spiritual Brain, the Kellys’ Irreducible Mind, or Malcolm Kendrick’s Doctoring Data. However, more often than we realise, there are other serious limitations to our logical thinking processes in themselves as well, against which we also have to guard. 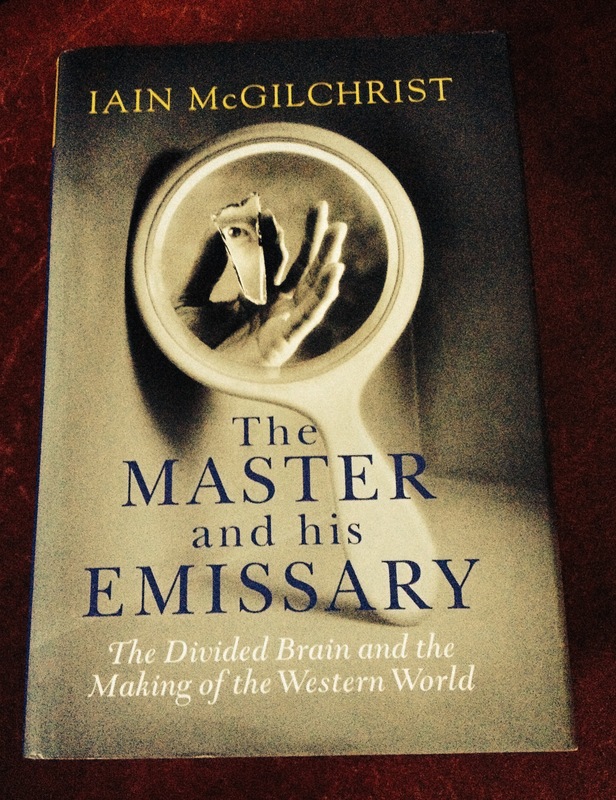 Iain McGilchrist has explored the ramifications of this in his excellent book The Master & His Emissary, in which he argues that the way we privilege our left-brain logical linguistic mode of processing is fraught with danger: we have to balance it with the right-brain holistic intuitive approach, which is sensitive to our connectedness with others and able to correct distortions in our schematic mapping. The so-called ‘rational’ processes aren’t geared to securing a good grasp of values, human relationships, complex organic interactions, spiritual dimensions, wholes rather than parts and so on. Through right-brain processes we can have access to a mind that is far better at dealing with such things, but we do not often give it the time to operate effectively nor are we good at attending to its findings, which tend to come not in words but in intimations, metaphors, symbols, dreams, and other intuitive shapes. At least this is how it seems to me things usually are in our spiritually illiterate culture. When any factors such as values are involved we would do well to step back from our thoughts, quieten our minds and wait – and I don’t mean wait for just a few minutes. Sometimes I have waited for days, weeks or in rare cases, with various difficult issues, months before either meditation, dreams or apparently random flashes of insight come bursting in with the answer – or possibly not bursting in but whispering the solution quietly in the background, waving somewhere from a far corner of my mind’s eye. Unfortunately our receiver is not good at tuning into the signal from the wisest part of ourselves that makes the best decisions, and we experience its signal as frustratingly weak, so weak sometimes we convince ourselves it does not exist, and blast on regardless. So when reason has done all it’s work, it can be best to wait if there is no real urgency, but waiting is very hard to do, especially when we do not believe there will be anything worth waiting for – I’m sure that there will be all sorts of imaginary reasons our mind can manufacture to persuade us that we cannot and need not wait. Under mindful inspection such spurious reasons burst like soap bubbles on a pin. If there is a valid reason why we must act now, then perhaps we should, but not unless. Rushing to react kills albatrosses, something that waiting for the wisdom of intuition will help us avoid. What I am suggesting is a simple set of traffic lights. Sorry they’re up side down in the picture above but I couldn’t reconcile myself to placing instinct on a higher level than intuition and reason, even to create a more familiar symbol. But at least I discussed them in the familiar order. It’s a simple visual reminder, when there is a lot at stake, to stop, put all action on hold, if no danger threatens. Then to think hard for as long as necessary to get a grip on what’s really going on, and even then, only to act if it’s genuinely urgent. If we can do that, marinating our minds in the complexity of the issue, we will inevitably gain access to a rich and subtle vein of creative processing that will enable us to make truly wise as against hastily quick, or apparently clever decisions that might be missing something vital and doing serious harm. It is my belief also that once we achieve this level of consciousness, can tune into it at will, though not necessarily consistently, and can begin to avoid our usual mistakes, even perhaps beginning to compensate for some past errors as well, the weight of unnecessary guilt, rage, self-blame and angst will fall off our shoulders, we will stand straighter and see much further. At least that’s where I’ve got up to in my thinking so far! I hope it was worth sharing my mariner experience. If not, writing it down as clearly as I can might help me remember when the next albatross is in danger. I was shocked to discover (or perhaps to be reminded) that I wasn’t the first person to think of this possibility. In December 2015, six months after posting this, I read, on page 149 of Mark Edmundson’s brilliant Self & Soul, ‘A. 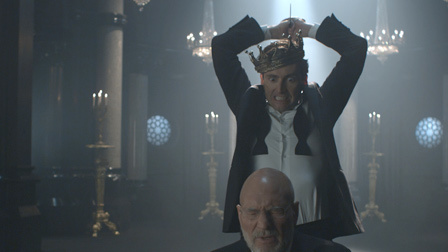 C. Bradley has said that if you put Hamlet into Othello’s play, the prince will quickly make Iago [out] for what he is and just laugh him to scorn. In Hamlet’s place, Othello would draw his sword and slice Claudius nave to chops in the first act. In either case: no play.’ I definitely read Bradley 50 years ago. Was this then a case of cryptoamnesia? I think so. What does that suggest about the rest of what I write? I dread to think and feel obliged to apologise to anyone I have inadvertently plagiarised. Three Brains Revisited (1/3): A Stranded Mariner? The natural emotions are blameworthy and are like rust which deprives the heart of the bounties of God. But sincerity, justice, humility, severance, and love for the believers of God will purify the mirror and make it radiant with reflected rays from the Sun of Truth. Events over the last four years have taught me a lot. It would be tedious in the extreme to bore you with all the details. The events were of the kind exemplified in the first post of the sequence about the Three ‘I’s. What I want to talk about just now is the way that a poem, which I had translated and which raised interesting questions for a friend, led to a breakthrough into a different angle of understanding, enriched admittedly both by my recent practice of mindfulness, my intense encounter with van Gogh in Amsterdam, and my long-standing struggle with the processes of reflection and disidentification in general. Gurdjieff’s concept of man as a three-brained being, then, specifies that there are three major types of evaluation: intellectual, as we ordinarily conceive of it, emotional, and body/instinctive. . . . . [A] lack of balanced development of all three types of evaluation processes is a major cause of human suffering. I have now tweaked that model somewhat in the light of my own experience, trying to integrate some previously unmentioned aspects and also to make more explicit ways to begin using it in practice while keeping it as simple as possible. I have not repeated some of the detailed suggestions in the Three ‘I’s sequence such as how to work with dreams, as these are accessible still on this blog. Emotions and feelings of various kinds are triggered by the content of experience at every level. 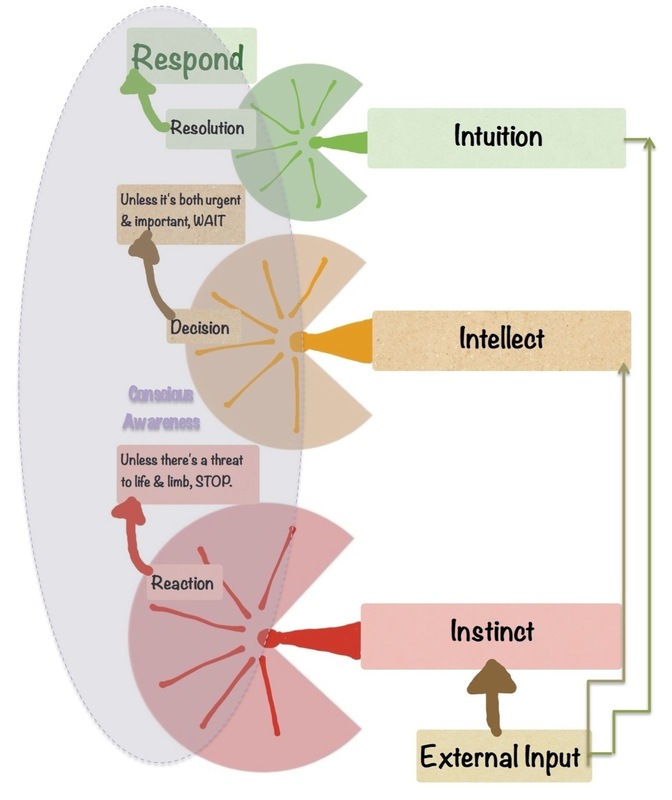 Those at the instinctual, limbic system or ‘gut’ level tend to be linked to survival and are frequently negative involving fear (flight) and anger (fight). The other ‘f’ words, such as ‘food,’ usually trigger pleasure and other more positive responses. We tend to react strongly and quickly to all such triggers: there isn’t much thought, if any at all involved. It’s very much a flash point situation which can make catching ourselves in time before we react a bit of a problem. It takes practice. At the intellectual, left-brain or ‘head’ level, the nature of feelings will depend upon the content and difficulty of whatever preoccupies our thinking processes. When we have a complex problem we end up having to work things out more slowly and what comes out after a longer period is a calculated decision rather than a gut reaction. 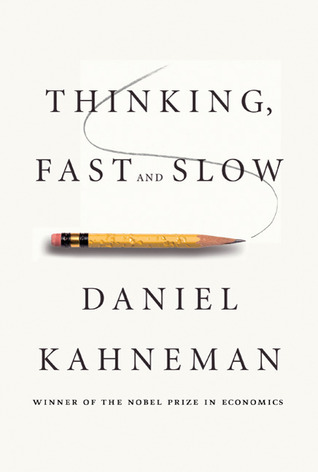 I’ve been over much of this ground in recording my responses to Kahneman’s Thinking Fast, Thinking Slow so I won’t rehash it all in detail here. At the right-brain level of intuition, which can be termed the ‘heart,’ where holistic and creative processes tend to take place, emotions are overall usually more positive. Love and compassion are more frequently experienced at this level. It takes time for these processes to produce a sense of what to do next and more time still for us to explain what that is to our thinking mind. I have called the outcome here a ‘resolution’ because that word contains both the idea of resolving a problem and achieving a firm resolve about tackling it. I will come back in the last post of this sequence to an examination of how to apply this model to any given situation.
. . . I was struck by your line ‘The ship of my existence rots becalmed’. Several images and connections arise: The ship is like our conscious or personal self, . . . . If the ship is becalmed there is no wind in its sails, and the sea itself is barely moving. So the reason for the ship’s lack of movement has its origin outside the conscious self, . . . . . The ship is a symbol for the personal Will (in psychosynthesis) and its crew is the multiplicity of our subpersonalities, hundreds of different selves which work in unison to make sail across the ocean. But in the becalmed ship the crew are all waiting, they can do nothing. . . . . . Perhaps [there are issues] need[ing] resolution in order to find some wind for your sails? My immediate reaction was to dismiss the idea of present relevance. I had seen the translation I made as drawing on past experiences to mediate the transference of the emotional meaning of the poem for me from Spanish into English. I resonated so strongly to the original poem, I felt, because I’d been there, done that and got the t-shirt. However, because I have learned that when this friend asks a question or raises an issue there is usually something substantial behind it, I went back to the original text. In doing so I came realise that ‘transference’ is an interesting word to have used in this context. Clearly rotting and becalmed are my associations to what Machado wrote. Whereas at first I had thought that I was simply rendering the spirit of the Spanish into an English equivalent, I’d clearly gone beyond it. So, in support of the ‘been there, done that’ theory, I argued to myself that perhaps I was referring back to some earlier state of mind and using the Spanish as a bridge to help me recreate it. For example, at the time I was learning Spanish both at school, and later when a Spanish Assistante came to work at the college I was teaching at, I was still locked in my dissociation from or denial of the emotional turmoil of my childhood, up to and including my father’s death when I was 24. Not until my rather risky experiences with Reichian and Janovian breathing therapies (see link) at the hands of amateurs did I open Pandora’s box and discover what I really felt and really wanted to do – till then it had all been about addictive pastimes to help me keep shut down. Saturday was the day I dynamited my way into my basement. Suddenly, without any warning that I can remember, I was catapulted from my cushioned platform of bored breathing into the underground river of my tears – tears that I had never known existed. And hit a World, at every plunge, . . .
I’m just not as capable of conveying my experience in words as vividly as she did hers. Drowning is probably the best word to describe how it felt. Yes, of course I could breath, but every breath plunged me deeper into the pain. Somehow I felt safe enough in that room full of unorthodox fellow travellers, pillow pounders and stretched out deep breathers alike, to continue exploring this bizarre dam-breaking flood of feeling, searching for what it meant. I’m not sure why so many of my important experiences have such an aquatic flavour. Actually, I think I know why: anyone interested could check out an earlier post, which hints at the connection. Anyway, after those moments, psychology/psychotherapy became the wind in my sails. I had reasons for wishing to become properly qualified in this area, having witnessed, as I saw it, the potential damage amateurs could do to the vulnerable (but that’s another story). I wanted to make a positive difference, something I couldn’t do outside the system against which I had rebelled. So I came back in, got a job, worked in mental health and found my vocation. Finding the Bahá’í Faith put more wind in my sails. I thought the ‘painted ship upon a painted ocean’ experience that the Ancient Mariner describes was behind me. The imagery didn’t apply anymore to the present, did it? Then, I began to wonder whether such a state might still be active somewhere underneath consciousness. After all, this wouldn’t be the first time I had failed fully to understand my own poem, let alone my translation of someone else’s. It’s some consolation to think that if you can completely understand a poem you’ve written, it probably isn’t much good. Anyway, because she questioned what I might have meant and whether it applied to me and to what extent, a key association came to mind, the probable original source of those kinds of images for this kind of purpose. Surprise, surprise, it was Coleridge’s Rime of the Ancient Mariner. Coleridge’s life has always fascinated me. 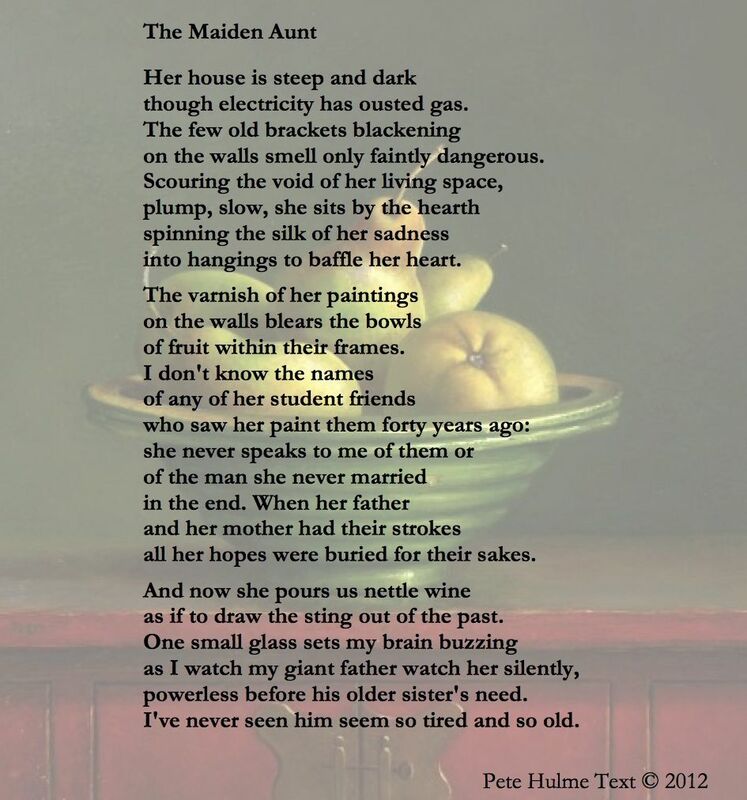 He was 26 when he published this, younger than Keats when he died at 28 and younger than van Gogh when he started painting at 27 – extremely young to have composed, over what seems to have been a brief period of five months before first publication, such a powerful and dark poem. At least one biographer regards it as uncannily prophetic of his later life and all its suffering. He kept tinkering with the poem over a period of many years. It clearly was of profound significance to him. In the next post I’ll be looking closely at the implication of this association for governing our reactions to experience. 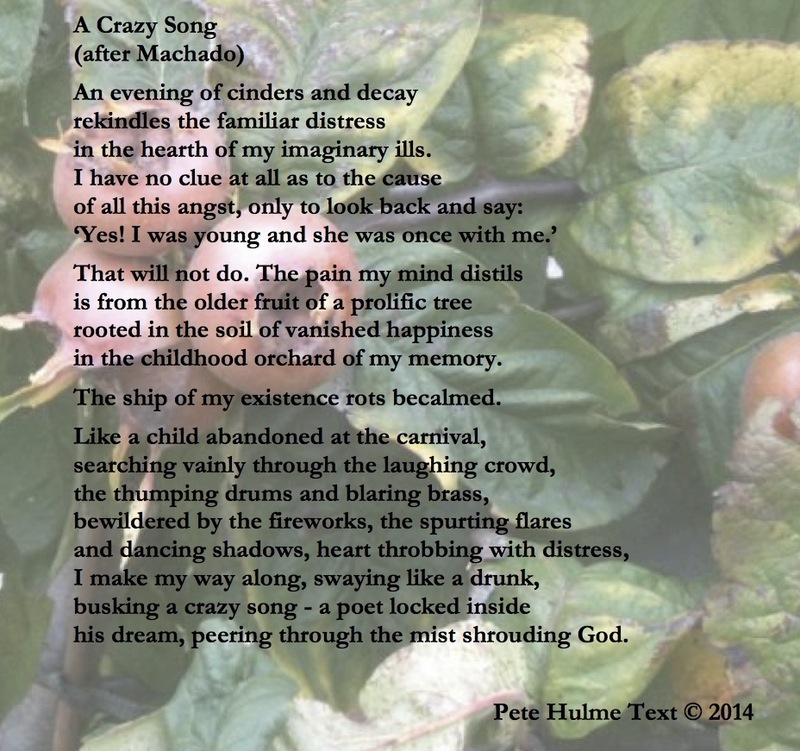 The poem would seem to have left a deeper mark on me than I had ever realised.